In the picture above left are massive signs of inflammation which have struck the patient’s nervous system, showing clearly how the inflammatory processes express themselves as rounded, very branching forms. These are unmistakable diagnostic indications that are always present with inflammations. 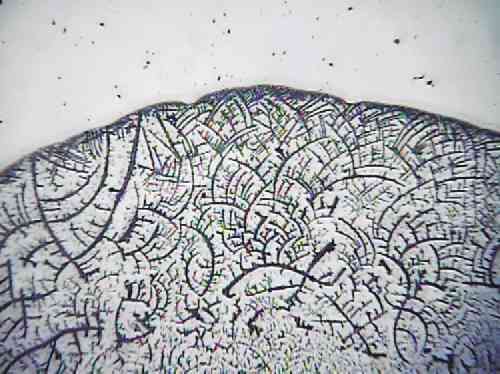 Their location in the crystallization picture indicates the affected organ. The adjacent picture is of a psychotic patient. There are signs of inflammation here as well, which indicates that in psychosis one is dealing with an inflammation in the area of the nervous system. This is enlightening in respect of the fact that the soul symptoms tend to reveal themselves as “inflammatory”. In contrast to the pictures above, the lower two pictures portray degenerative processes, which are polar opposite to the processes of inflammation. The lower left picture is of a patient with breast cancer, which expresses itself in the very rigid forms. 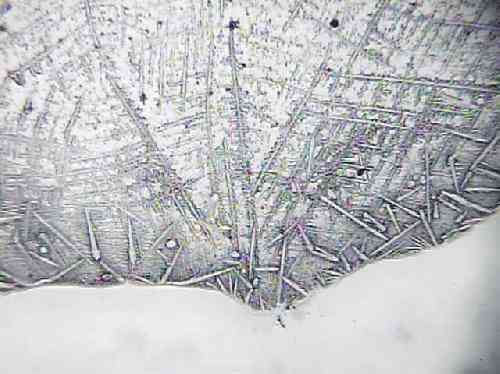 The crystals are mostly linear and hardly branched. 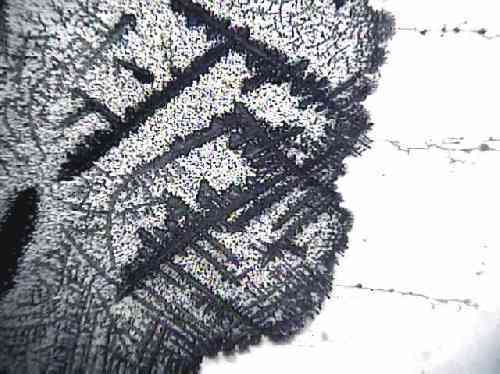 At times the crystals separate entire portions of the picture, which reveals a tendency of cancer: isolated tissue which is no longer in communication with the rest of the organism and shows an independent, uncontrolled growth process. Such a crystallization picture is a clear indication of cancer, as these signs are always present with cancer patients. Since these signs appear in the blood crystallization picture before the actual tumor appears, this method gives the possibility of early detection and treatment of cancer. 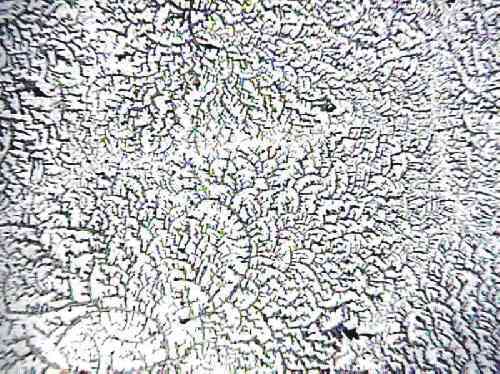 The lower right picture shows thick, coarse crystals, which are always present where there is a tendency to deposit in the blood vessels or organs. In this case, a patient with stroke. With blood crystallization analysis deposition in the blood vessels can be diagnosed early on and thereby, through appropriate prophylactic treatment, the risk be eliminated in time. Blood crystallization analysis presents a powerful diagnostic aid for early detection of illnesses.